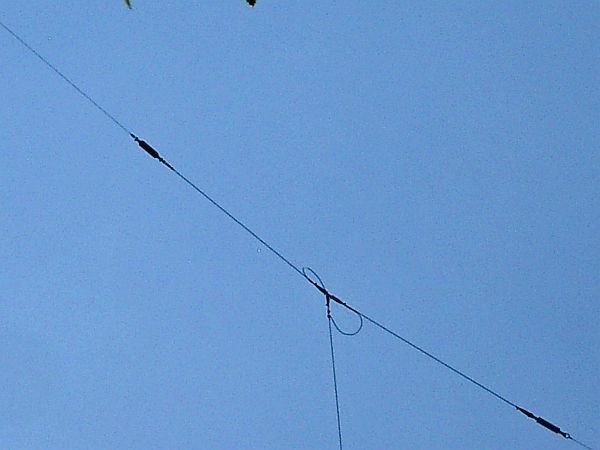 The MW antenna is designed for 1485 kHz and 1 kW. 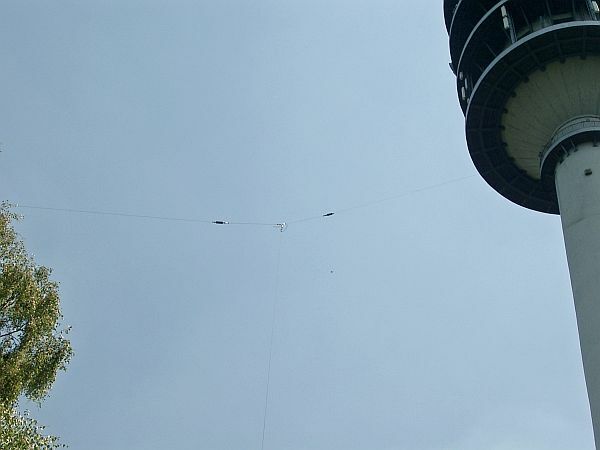 The height of the vertical MW wire antenna ( see right down on the photo) is about 31 m ( = 0.153 lambda). 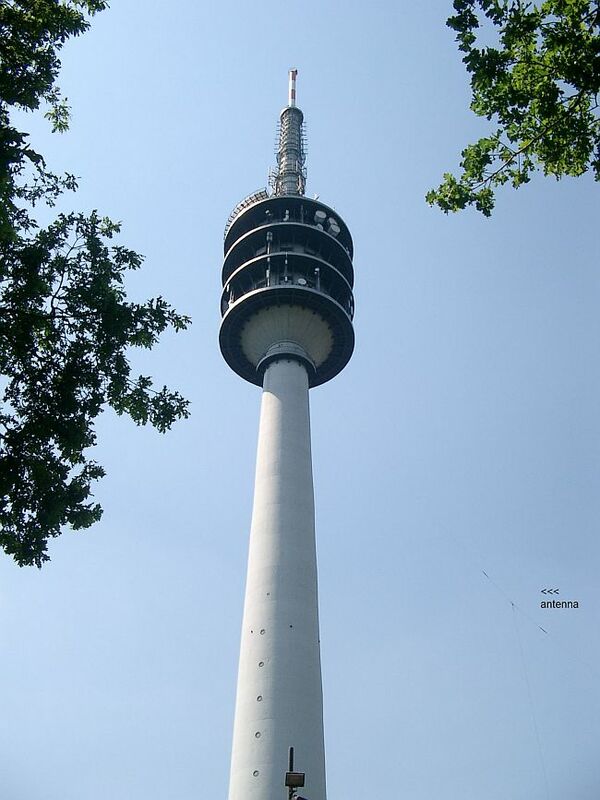 I was an assistant during installation for test broadcasting with DRM. 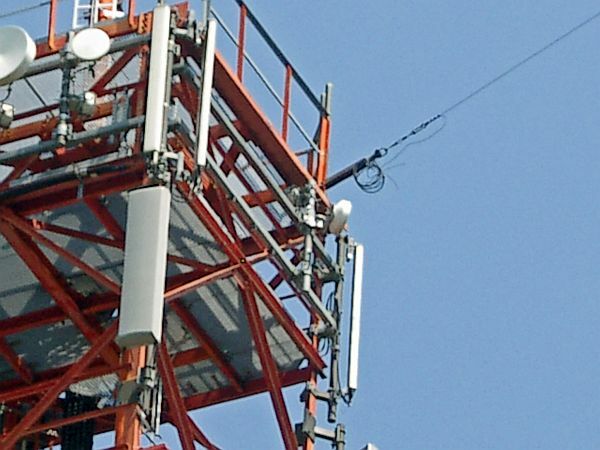 The vertical MW wire antenna with topload is suspended between the lower part of the platform of the main tower and a second tower mainly for telephone communication. 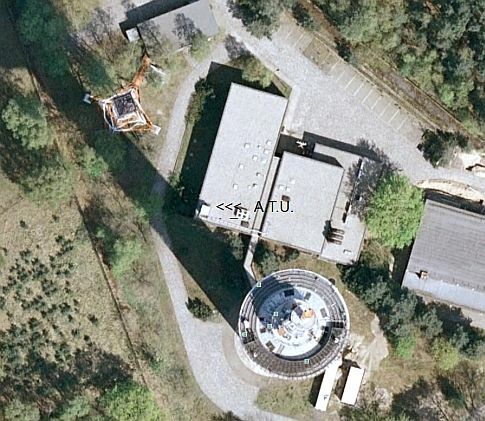 Antenna is suspended at the main tower below the transmitter rooms. 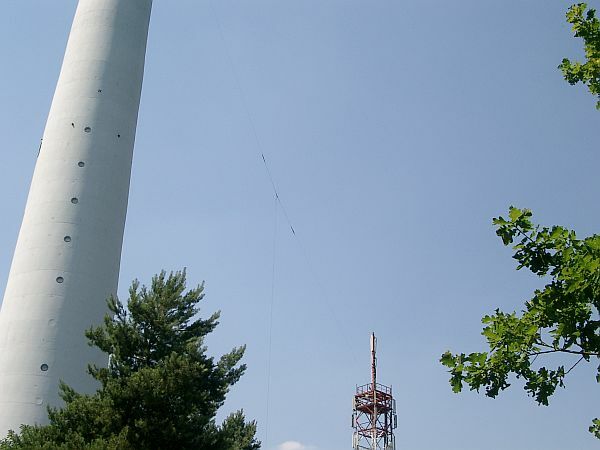 The vertical MW wire antenna with topload is suspended between the two towers. (<<< A.T.U.) on top of the building.